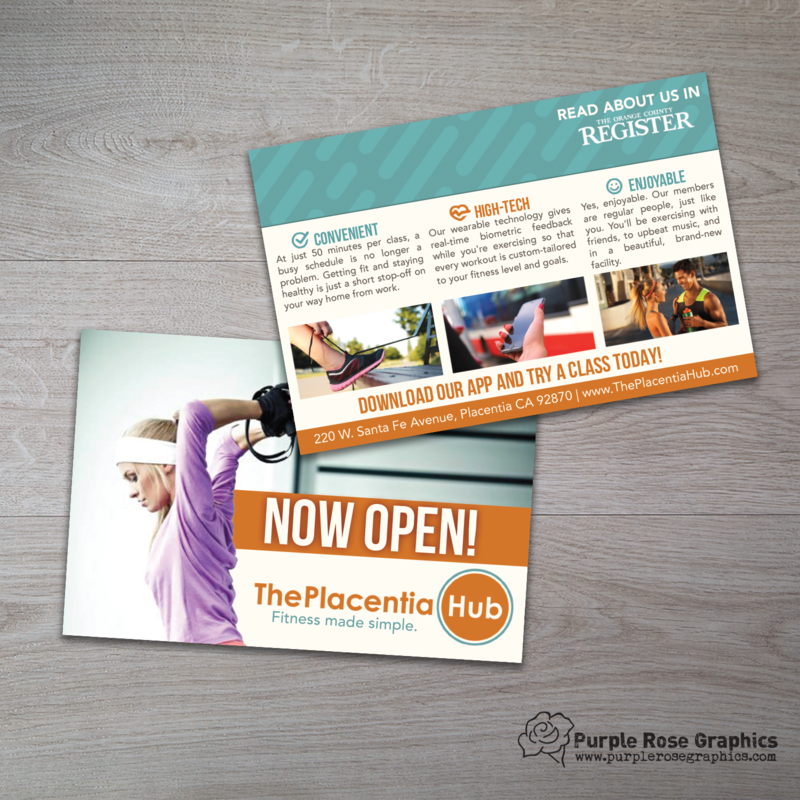 Branded postcard for Downtown Placentia’s favorite new gym. They had very specific branding already in place so I kept to their brand guidelines. I organized the information and selected the stock photos, some they provided to me and the rest I sourced on my own. They wanted an “agency” feel, meaning they wanted something that could keep up with the high powered advertising agencies in Los Angeles and New York and that’s exactly what I delivered.